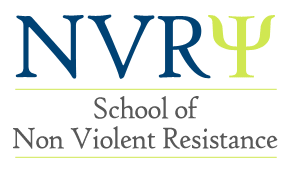 Originally, NVR (nonviolent resistance) is a form of social and political struggle used by groups and nations around the world. We are all familiar with Mahatma Gandhi, who led India to independence, Martin Luther King's struggle for civil rights and racial equality in the USA, or the struggle to free Tibet from Chinese occupation. The main characteristics of the struggles reside in two central issues: First, the decision to oppose - decisively and prominently - to an ongoing oppression. Secondly, the fundamental moral decision to lead this struggle in a nonviolent manner, even when the other side takes violent measures. These two principals turn the struggle into nonviolent resistance. It was over a decade ago when prof. Haim Omer converted nonviolent resistance into a psychological therapeutic model. His initial objective was finding a way to help parents who had felt they lost their parental authority, and helping them cope with their child's violent and risky behaviors. Numerous parents arrived at this therapeutic encounter, asking for guidance about speaking to their child, stopping his violent behavior and rehabilitating their parental authority. Many parents shared their feelings of helplessness in dealing with their child and their inability to retrieve control over their homes. Many arrived after unsuccessful experiences in therapy; sometimes due to their child's lack of cooperation ("I don't have a problem! You go to therapy"! ); their exclusion from the therapeutic process (for instance, due to their adolescent reservation from the parents-therapist encounter); or the therapist's incapability in dealing with severe conduct issues. Prof. Omer developed a parent training model in light of the basic nonviolent resistance principals: There is a need for consistent opposition to the child's problematic behavior, and this opposition will not in any way be violent, physical or emotional. Following this model, parents are trained to manage the struggle against their child's behavior (note: the behavior, not the child himself), in a way that is not domineering, humiliating or aggressive. The parental struggle revolves around one stance which sends out the following message: "I am your parent. You cannot get rid of me or fire me. I am here and I will continue to be here out of my love for you and my moral obligation to you. I will watch out for you, I will try to put you on the right path, and I will never give up on you". During years of applying this method, Omer and his students accumulated much knowledge and therapeutic experience which led them to deepen and expand the original model. There are now unique parent training programs for different difficulties such as: children's anxiety, ADHD, drug abuse, delinquency, school refusal, computer addiction, safe driving, adult entitled dependency and more. The basic approach remains the same: Parental resistance to the child's behavior and the willingness to maintain a struggle. Omer's last book "the New Authority in the Family, the School and the Community" elaborates about the efficacy of the approach on teachers' and communal authority as well. Recently, a comprehension that NVR is not only a way to "fix" behavioral difficulties, but also a parental modality constituting another layer of parental roles discussed in different theories – had begun to consolidate. NVR began corresponding with the Attachment Theory, stating that parental functions of a "safe haven" and "secure base" are important but not sufficient for a healthy developmental process. A parent must also function as an "anchor". A child, like a boat, needs an anchor to prevent his drifting into sea with no ability to stop. He cannot anchor himself; hence, it is up to his parents. Anchoring means setting boundaries; allowing him to swim but not to drift; enabling movement but not destruction; spinning the thread that will accompany the child in his journey and keep him from losing his way. Routine: The parent must create a daily routine and central house rules. Presence: The parent must be present and supervising, physically and mentally. 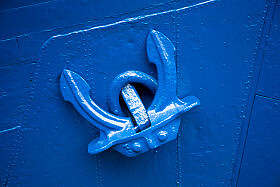 Support: The parent must recruit supporters, helping him thicken the anchor. Self-control: The parent must improve his self-control (not dragged into his child's behavior, not escalating the explosive situation, no yelling, threatening or humiliating). NVR parent training lies on these four fundamental elements. The parents study how to anchor themselves and each other, in a way that they are stable enough to anchor their child and prevent his drifting off due to his dysfunction. The therapeutic tools developed in light of this model, helping parents to anchor themselves are: The Announcement, the Sit-In, Support Network, transparency, adhering, delaying response, the bookmark principle, appeasement acts and more. An additional emphasis to this method is creating relationships built on transparency and trust between the parents and teachers, expanded family, friends and other significant figures in the child's life. Parents understand they can rely on these figures, share their difficulties and recruit them when needed – instead of hiding and feeling shame. The method was expanded and developed to fit institutions, schools and communities as well. The tools and the therapeutic practice are translated to fit schools and communities in order to build a new, anchored authority. The four fundamental elements apply here as well, and the guiding helps implementing them in the organization and/or community. Today, NVR is being introduced in a number of health care centers across the country (such as: the systematic Clinic for ADHD in the Schneider Children's Medical Center and the Center for Parental Empowerment). 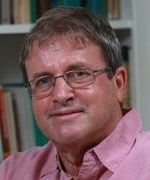 Further elaboration can be found in Prof. Haim Omer's books ("Parental authority rehabilitation", "The struggle with children's violence, nonviolent resistance", "Children's fears" (in cooperation with Eli Lebowitz) and "The new authority") and in the NVR School website: www.nvrschool.com. * The writer is a clinical psychologist, head of the NVR School and the systemic Clinic for ADHD in the Schneider Children's Medical Center in the NVR approach.